Subaru do Motorsport team finished the Netier National Capital Rally in fifth place overall after a more settled day on Leg 2. Despite wearing yesterday’s battle scars on the driver’s side rear quarter of the turbocharged Production Rally Car (PRC) class All-Wheel Drive WRX STI, Molly Taylor and co-driver Malcolm Read proved the car was fully functional across today’s six stages. The pair is hopeful of having retained overall fourth in the 2018 CAMS Australian Rally Championship, with points due to be released later tonight. In the third round of the 2018 CAMS Australian Rally Championship, The Les Walkden Rallying crew’s efforts to restore a rear cross member in the WRX STI, after yesterday afternoon’s collision with a steel gate post, paid dividends. Taylor and Read maintained overall fifth going into mid-leg service after the three morning stages. 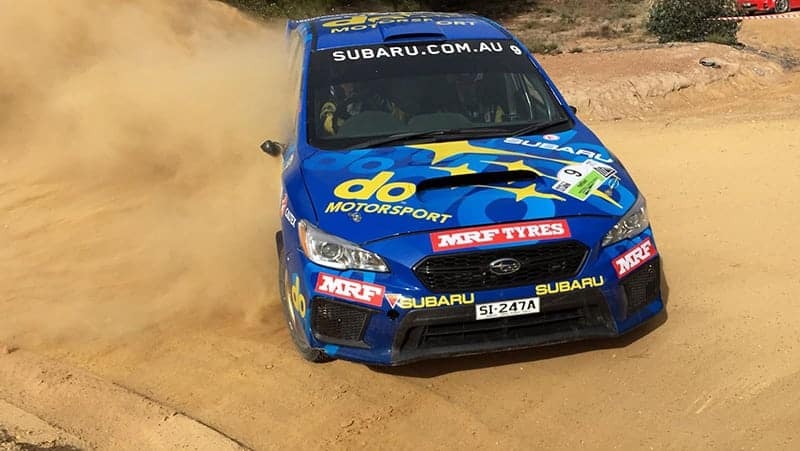 Saturday’s tyre issues were consigned to history, with the pair reporting few problems, other than minor suspension setting tweaks, as they headed into this afternoon’s final three stages, again located in the hills west of Canberra. With a focus on maximising Championship points going into the second half of the season, the duo was content with two fourth places and an equal third on the day’s final stage. Molly said: “After the amount of damage out there yesterday, it made sense for us to focus on maximising our points for the weekend to underpin our championship position. “To that extent, we’ve probably done better than yesterday’s finish might have suggested, so now we need to re-set, apply the lessons learned and have a really disciplined approach going into the second half of the season. “Looking at today’s performance, there were a lot less rocks to contend with, but it was a bit challenging on the turn-in where there was a lot of sand. But after yesterday’s dramas it was good to finish unscathed. Today’s Leg 2 covered a total of 119.08 competitive kilometres across the six stages. Championship action continues next month with the return of Tasmania to the series – with the Launceston-based Subaru Rally Tasmania. 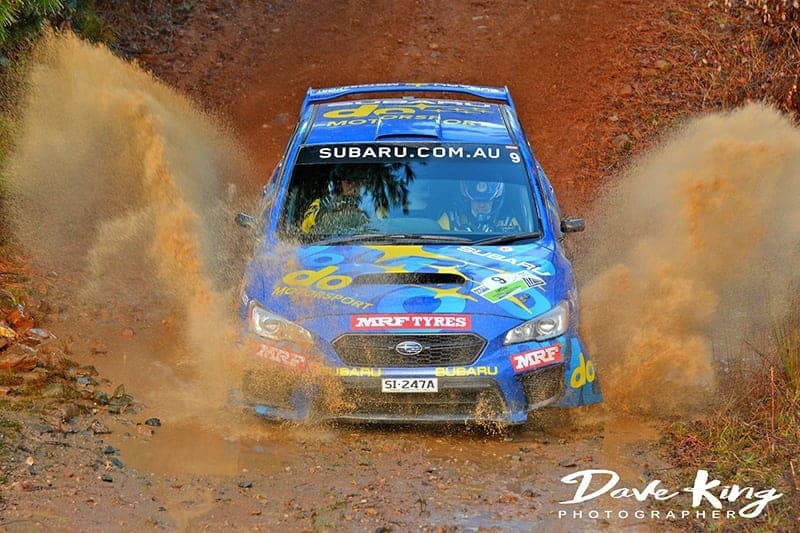 With Les Walkden Rallying based in the Northern Tasmania city, Subaru do Motorsport will be on a mission to underline their claim for elevation to top three podium honours.